Here you will find detailed information about the different areas in which you can get involved on this Conservation & Environment project at Barra Honda National Park. Our Automatic cameras use infra-red sensors which activate the digital camera whenever there is movement in the sensor's field of view. The information we have gathered since 2009 has been very useful in giving us background information about the park. It has also updated our species list with several species that had been un-observed for a long period of time. Since 2012, we have been investigating different areas of the park in much more detail. This helps us understand the interaction certain species have in the area during the year. We use 6 cameras during 7 day periods in each site and work in 4 different locations of the park. Each location contains 16 different areas to give us a highly detailed study of the area. This project also uses data collected from our climate study. Using the same locations as the camera project, we place 12 butterfly traps each week to study the different interactions of each species in the area and the varying breeding seasons in the park. Butterflies are very good 'indicator species' because they are very sensitive to climate change, pollution and habitat destruction. This means we can use them to note the smallest changes in the area. 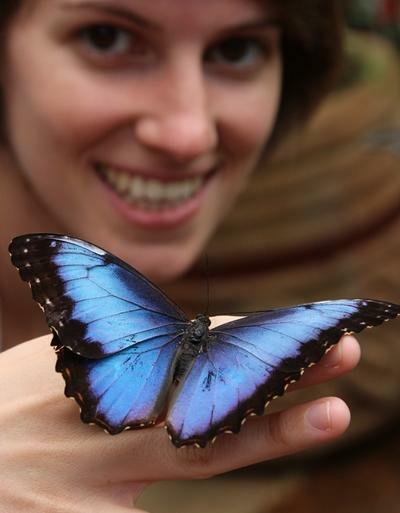 We are also investigating butterflies because of their importance in pollinating hundreds of species of flora. Many of the flora rely on just one species of butterfly to breed. This project also uses data collected from our climate study. Since 2012 we have also been investigating the egg and lava cycle. We have found that there is a lot of information on the actual butterflies but not so much on the egg, pupa, caterpillar cycle or the host plants of each cycle. Specimens of each are taken and closely observed, photographed and noted so that we can build a complete Barra Honda natural history. 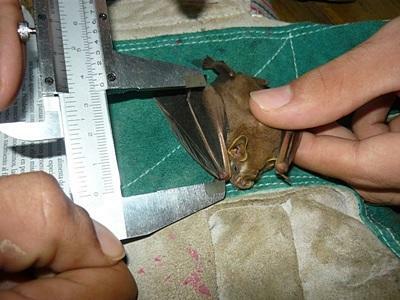 In 2011 the years of work with the bat project was officially recognised by the government in Costa Rica. The Chiroptera bats have been placed on a higher protection level. This means that our work is more important than ever and we must continue to explore the park and investigate how this group of mammals interacts with the forest. Using mist nets we will work in a systematic way through the park trying to identify the species that we have in the area and exactly where they are more abundant. Each week we will have the opportunity to work with this project, setting the nets up in the afternoon and collecting specimens during that night. This will include taking photos and measurements and of course identifying each individual that we catch, before taking the nets down again. As with all the projects we run we will do this during both the wet and dry seasons to investigate the impact this has on each species. As with butterflies, bats are very important in the local ecosystem. They control insect populations, pollinate flora and spread seeds and fertilizer around the forest. This project will also use data collected from our climate study. Although not a very large study, the results taken from the weather station in the park each day are very important for many of our projects and for us to monitor the climate change in the area. We are responsible for recording rain-fall, maximum and minimum temperature, wind-speed, air-pressure and humidity. We also collect sunrise, sunset and moon phase data for the park. This information is then used to help us interpret what causes changes in animal behaviour and gives us clues to changes in population or movement. This is in addition to the main aim of showing how the climate is changing on a yearly basis. The endangered scarlet macaw has been intensively hunted in Costa Rica for its brightly coloured feathers and its extreme beauty. In some areas it is even eaten as a rare delicacy! Although it is internationally protected under CITES 1, it still hasn't stopped the relentless search for eggs and chicks to be sold as pets and a food source. In the park itself we need to work towards reforesting the area with food sources and nesting sites so that the macaws can eventually be encouraged to move into a much safer area. We have identified one area in particular that annually has two nesting pairs. 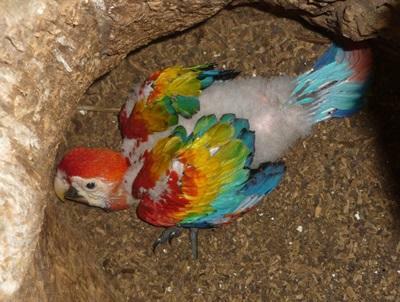 However, the main project is to monitor the presence and nesting habits of these beautiful birds in Barra Honda. Over the course of a typical month volunteers will also be asked to join our bird monitoring program, which requires two separate activities. Once a month we will work from 5am until 5pm (using two different groups) to capture bird species using the mist-nets. These birds will be identified, photographed, weighed and measured. We will also be doing three early morning walks each month. Starting at around 5am we will walk around the trails to certain points to identify and register as many species as we can see. This is important because birds play a huge role in every ecosystem and population studies are carried out internationally each year. This project is closely tied in with our other investigation projects. Each area that we work in with the Butterfly, Automatic camera and Bat projects needs to be investigated and described in detail so we can understand why we get the results we do in that area. This means that we have to walk around these areas and measure trees, look for nests, animal tracks, insects and everything else we can see. All of this data is recorded and then using certain formulas we can work out a classification for the area which quickly tells us if we should catch lots of butterflies or see a few species on the cameras. The aim of this project is to investigate the area in more detail by splitting the trails into smaller transects and investigating 5m into the forest. We literally have to look for everything, so a good eye is very useful here! This includes mammal nests, bird nests, bat nests, insects, animal tracks, type of forest, and species of plant. Everything gets recorded and marked with the GPS so we can map with high detail what we have inside the park. We use this data not only to have a record to monitor in the future but also to help us plan future projects. Marking the trails every 25m is very important for the safety of volunteers, tourists and park staff. It enables us to identify areas without the use of GPS and of course to make sure nobody gets lost! 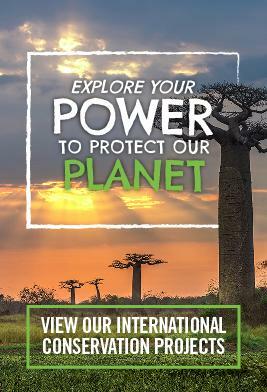 One of the main ideas in conservation is planting trees to try and counteract the deforestation that occurs around the world. Here in Barra Honda we have a nursery garden that provides us with many species of native tree that we can then use to help reforest the area in local schools and farms. We also work alongside local farmers and children to reforest areas important to them. We will also have to work on maintaining and expanding our nursery garden. We currently have around 2000 saplings in the park but many of them are barely large enough to transplant at this time. Therefore, we must constantly be planting new seeds to be capable of making a larger impact in the following years. There are tens of kilometres of trails within Barra Honda and new ones are being created each year. Due to the intense heat of the dry season in this area, maintaining clear trails is very important in the prevention and control of fires. Each month we will travel to a different trail to machete and rake everything that is on the surface. This ensures that people can use these trails in full knowledge of where they are putting their feet and helps to slow or stop the passage of fire. So far this has worked perfectly, preventing fires from coming close to the main area of the park. The fire breaks within the park are exactly the same as the trail systems except that they do not follow the easiest or most interesting route, but instead go in a straight line. The breaks are normally wider than a regular trail and more suited to stopping large fires from spreading. Volunteers with special skills or a desire to work in education or the display of information are more than welcome to join us in the park. Much of our work is closely discussed with a spokesperson from the government responsible for environmental education. However, as with many government agencies, she has a large area to cover and only a limited amount of time and resources. 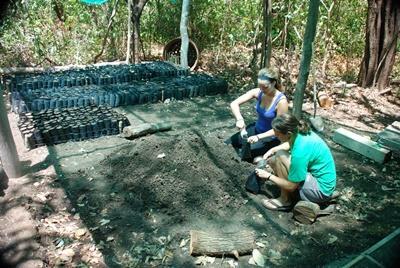 Many of the projects we are running can be used to help educate people in the conservation of fauna, flora, and water. We can also simply show them some of the amazing and unique things we have in the area where we live. If you think you can help us design new displays or wish to help in environmental education then please do get in touch. We are always looking for extra help in this area. We are currently also helping local schools to work towards the ecological Blue Flag award, through environmental education and by helping them build biogardens and recycling centres for the schools and local communities. Not all of our work is investigation or education. A large park like ours has substantial installations and these buildings need to be maintained and repaired when necessary. Volunteers are also responsible for cleaning their shared dormitories and bathrooms on a rota basis. As the volunteer program expands we also need to increase the services and installations we have. 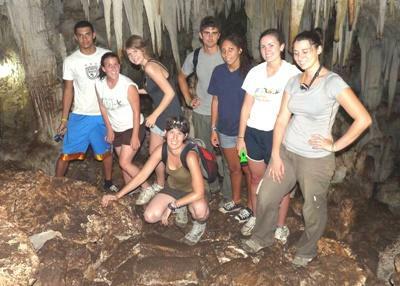 Barra Honda national park is a huge area with many amazing formations and processes occurring all of the time. These result in the regular discovery of new geological formations and beautiful areas of land. This can only be done if people walk around the park itself. We always try to make an activity at least once a month where we go on a random walk (which is not to say that the point of the walk is random, only the destination!). Each time we walk in a new area or at a different time of the year we stand the chance of seeing a new species of bird, mammal or reptile. We may also find a new geological or archaeological formation within the park. All of this data is recorded in a separate book, which is processed at the end of the year for an individual report.